The Sombrero is a wonderful way to enjoy Kahlua with milk. It is an easy drink to mix up and perfect for an after-dinner cocktail or those times when you simply want a smooth, light beverage. It really does not get much simpler than adding a shot of coffee liqueur to a short glass of milk on the rocks. That is essentially all that the Sombrero is, and it is a casual delight to sip. No matter how you end up taking your Sombrero, it is a fabulous drink. Think of it as a light variation on the White Russian. Mix it up and enjoy! Fill with cream or milk. As with all drinks, there are a few substitutions that can be made. If you would like to make your Sombrero a little thicker, choose cream over the milk. If you prefer, use a coffee brandy like that from Maine producer, Allen's. Kahlua may be the best-known coffee liqueur on the liquor shelf, but it is not the only one. 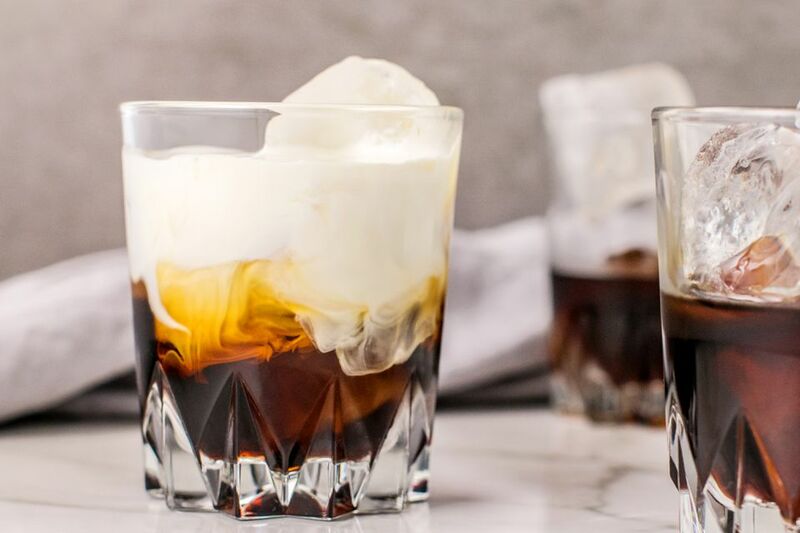 In fact, the Kahlua brand itself makes some very interesting variations on the original, like Kahlua Especial, which is a richer coffee flavor (dark espresso) that is 35% ABV (70 proof). Kahlua Midnight, which is similar to the original Kahlua, is a 'Black Coffee Liqueur' that is also 70-proof. Kahlua also produces a few flavors like French vanilla, hazelnut, mocha and salted caramel. These can come and go from the market as the brand continues to experiment with new variations. You will find other fantastic coffee liqueurs as well and many drinkers will argue that they are superior to Kahlua. Coffee has become a popular new option for small, craft distilleries and these really are some of the best coffee liqueurs you can find right now. Firelit Coffee Liqueur: A cold-brew coffee liqueur, Firelit will have you rethinking what coffee liqueur can (and should be). It is one of the best on the market. Leopold Bros. French Press-Style American Coffee Liqueur: If you love French press coffee, this is the liqueur for you because it begins in a 25-liter press similar to the one in your kitchen. St. George Spirits' NOLA Coffee Liqueur: Sipping coffee in New Orleans is a different experience and it is captured to perfection in this bottle. New Deal Coffee Liqueur: Working with a coffee house near their Portland, Oregon distillery, New Deal continues to impress with a perfect coffee liqueur. How Strong Is the Sombrero? Kahlua varies in proof depending on the country it is sold in. In the United States, it is 20 percent ABV (40 proof). If we were to pour 3-ounces of milk, that would make the average Sombrero a casual 6 percent ABV (12 proof). This drink ranks among the best low-proof cocktails you will find.